In the morning I'm going for my first shift at LUSH and I'm really looking forward to it. This weekend LUSH are holding instore parties to show off some of the fab things that are on offer when you book a LUSH party for a birthday/hen do/ girly pamper evening. There will be lots of demonstrations going on including massage, product demos, emotional brilliance readings, but most excitingly we will be making some of our products as well. I've been told I'll be making Blackberry Bath BOMBs during my shift, and that there will also be be girls making Catastrophe Cosmetic face mask and possibly Angels on Bare Skin cleanser. 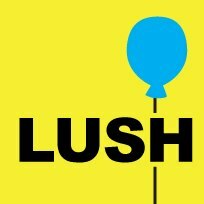 It will definitely be worth popping in to visit if you're near a LUSH store. As I keep harping on about, I fly out to Mallorca for three weeks on Sunday evening. 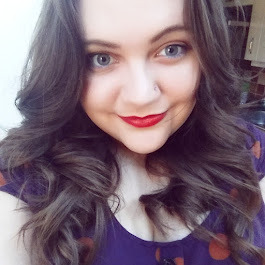 We're going for a nice relaxed holiday and I plan on carrying on with my blog whilst I'm out there. My plan is to turn the blog in to a bit of a holiday beauty review site for a few weeks and report back on what I find to be the best products for taking away with you (I've resigned myself to the fact nearly my whole kit is coming out with me!). I'll be reviewing on longevity, caking, the melt factor, and generally letting you know how well products stand up to the heat of the Med. What I want to know is A) if this is something you will find useful and B) whether you have any requests for what products you'd like to see reviewed. As long as I have them then I will review them for you. Like I say, it would be great if you could let me know if theres anything you want reviewed. Are you jetting off anywhere soon? Have you been to Mallorca before? I always find that the month leading up to my birthday I'm always wandering around looking for treats that I would love to receive. There isn't really much I need or want this year, I'm pretty contented with all the lovely things I've got, but these are the few bits that I am lusting after. 1. This pretty swallow jumper is actually from Marks and Spencer. Who would have thought it eh? But I tried this on and loved it straight away. I think I may have found my staple piece for autumn! 2. Bobbi Brown is very much one of my makeup inspirations and her books are a great source of beauty knowledge. I've wanted this book for quite a while now, its full of useful information, application tips, suggestions for how to keep you skin looking fab and also tells you a lot about getting into the makeup artistry business. 3. Unlike most beauty bloggers I haven't been particularly interested in the range from Real Techniques as I already have lots of fab makeup brushes that I'm really loyal to. However, I really need a new blush brush so I think its time to jump on the Real Techniques bandwagon. 4. Ahh, MAC lipsticks. I swear there is something just so beautiful about them. The one I'm lusting madly over is Girl About Town from the Amplified selection. 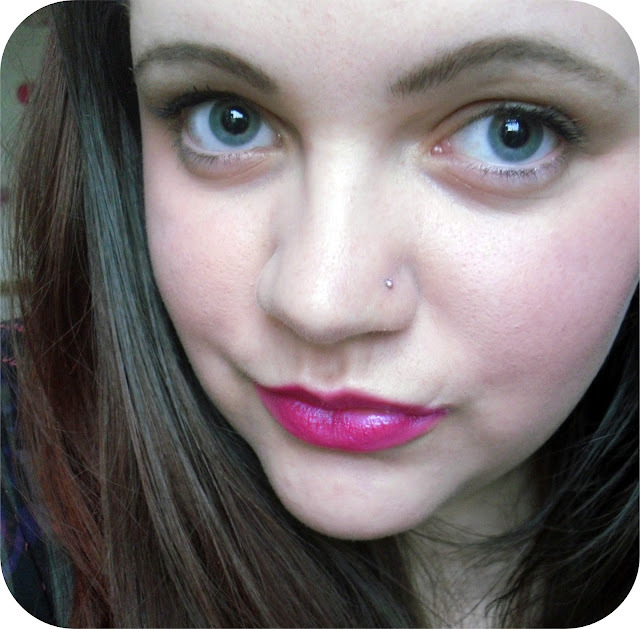 Its a gorgeous bright blue toned pink and looks so striking against fair skin. 6. Finally is Nicki Minaj's album, Pink Friday Roman Reloaded. I love her style and her voice is amazing, I'm not really sure why I haven't bought this before, but it is very firmly on the list! 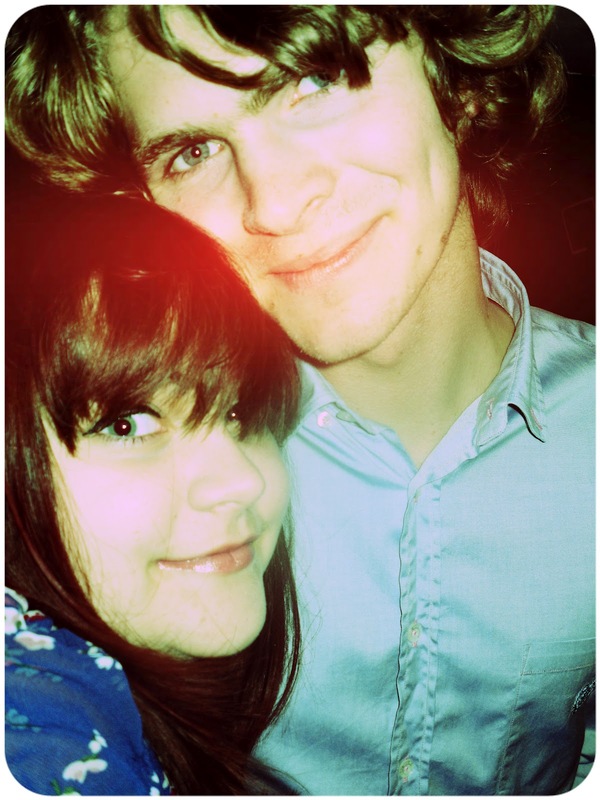 Its been an exciting few days for me, and I'm sorry I've been a bit absent but its been a few days of celebrating. Thursday was a really big day for me. In the early afternoon I had a trial shift with LUSH for what would, lets face it, be my dream job. I had a really great time working on the shop floor, showing people how fab the bath bombs are and how fun shower jelly can be so I was completely over the moon when the shift ended and I was offered a job instantly, I didn't even have to sit down for an interview. I can't begin to tell you how happy I was to hear that I would be working for one of my favourite companies. In terms of blogging I hope that being employed by LUSH doesn't effect how people feel about any of my reviews of LUSH products. I will continue to write about them, and continue to be 100% honest as I always have been. Considering yesterday all of this excitement with Lush took place, due to holiday and confusing circumstances, today was actually my last day at Debenhams. I hate leaving jobs, it feels so strange to be leaving the building and know you won't be behind the scenes there any more. I really enjoyed my stint in the restaurant there and all the staff were lovely but at least I'm leaving for exciting new things...and a three week holiday in Mallorca! 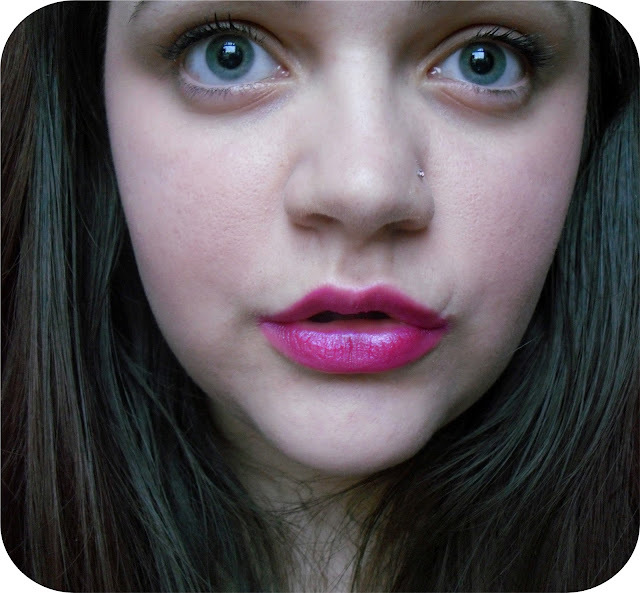 I decided to keep things nice and simple, smooth skin, light pinky blush and bold lips. 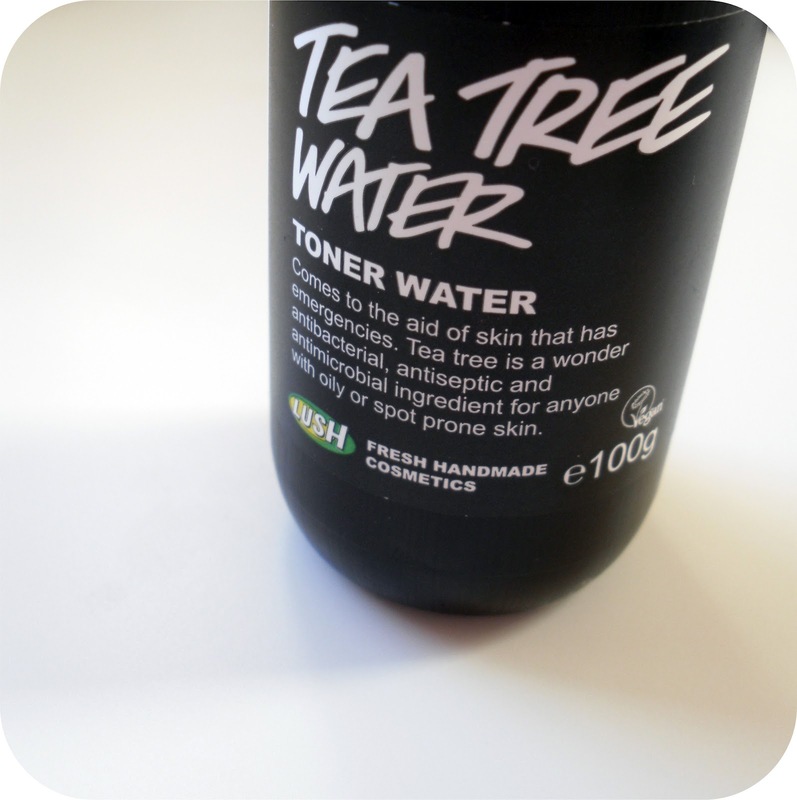 Everyone knows how much of a Lush fan I am, but today I am writing about my very favourite Lush product that I have ever tried; the Tea Tree Water which is a toner for oily, blemish prone skin. I like to keep my cleansing and toning routine nice and simple because I do it sat at my dressing table so only use products that don't need rinsing off after use so this is perfect. What I do is spray a couple of squirts on to a cotton pad to tone one side of my face and then repeat the process with the other side before holding the pad for a few seconds over any blemishes to help kick start the healing process. The reason that this toner is so great on spot prone skin is because tea tree is a wonder product which acts as an antibacterial, antiseptic and also helps to reduce any redness or swelling. I bought this originally because I was looking for a light and natural product. All of the ingredients are natural and come from fruit and plants which is lovely as you don't need to worry about spraying anything nasty on your face. The toner is also vegan so is suitable for just about anyone. One of the great things about Lush's Tea Tree Water is the spray pump dispenser. This allows you to use as much or as little as you wish and means that you get no wastage at all. You can either close your eyes and spray directly on to the face in a nice refreshing mist or do as I do and spray on to a cotton pad to target more precise areas. This spray is also suitable to put in the fridge so during the summer you can keep it nice and cool for an even more refreshing pick me up which will rehydrate the skin. A common worry with Lush products is that some have a very short shelf life due to the natural ingredients (the face masks are one example of a product that is hard to use in the alloted time) however, as you can see from the above photo, you get plenty of time to use this toner, and whilst I have been using mine for several months now twice a day and still have around 2/3 of a bottle left, if you are using this every day, then you won't need to worry about it expiring. My only little niggle with this product is that it isn't the easiest in the world to travel with. 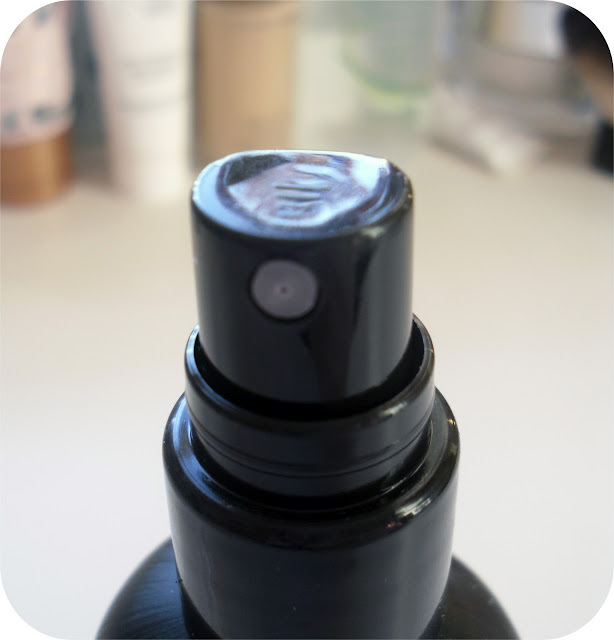 I popped this in my makeup bag when staying the night at a friends and found that there was a little leakage when I opened the bag, however, I think that may just be my bottle because I picked one with a slightly wonky lid, however, just be aware of this and check yours before taking it on a long flight or anything, we don't want any disappointment! What do you think? Have you tried any of the Lush toners? What is the toner you use and couldn't live without? Long post title today, oops! 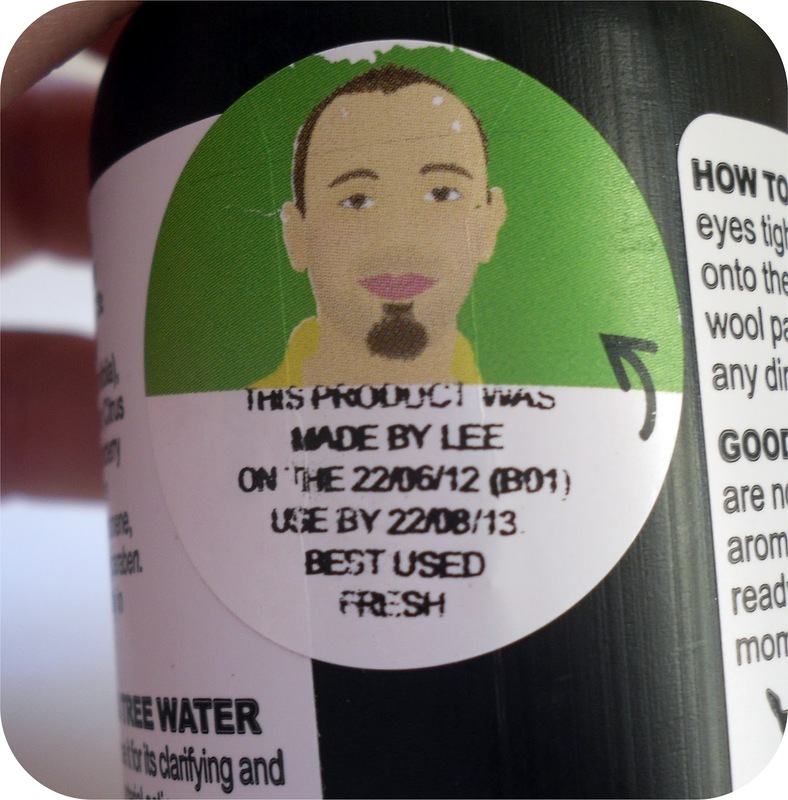 But a fairly short and sweet review of a product that I just had to share! This exciting little tube was sent to me in a swap from the ever lovely Lucy Brown who is the founder of Beauty Box Swaps (and also a good friend of my auntie's who I remember drinking lots of wine and skipping with me in the rain in the earlier hours a few years back!). Since getting it, I have used this cream every morning before putting on my makeup and it has worked wonders! No more one o'clock shine unless I'm stuck pot washing at work, and it also hasn't made my skin break out at all which is great, I was worried it might, even though it claims to be anti blemish. But ladies, I can promise it doesn't! 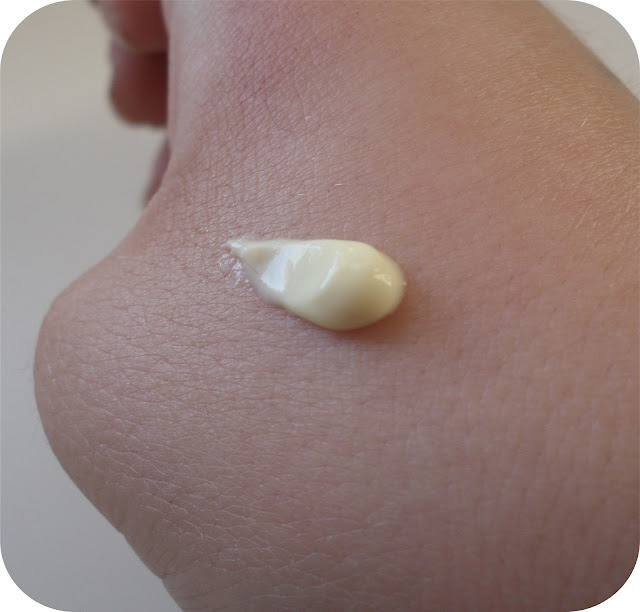 When squeezing out of the tube, the cream is fairly thick and a very soft yellow shade but it rubs in completely clear and just feels light and breathable but also leaves skin feeling nice and smooth, kind of similar to how a primer leaves the skin actually. The smell isn't fab but it is very faint and fades away almost immediately so don't be put off. I would say that to cover you're entire face an amount the size of a small pea is enough so even my little tube is lasting a nice long time which is good because now we come to the only downside I've found; the price. For a 50ml tub you will be set back £15.31 in Boots which for someone who is short on money like me, is a lot, yet when you consider how long this cream lasts and how well it works, I would say that it is £15.31 well worth spending. 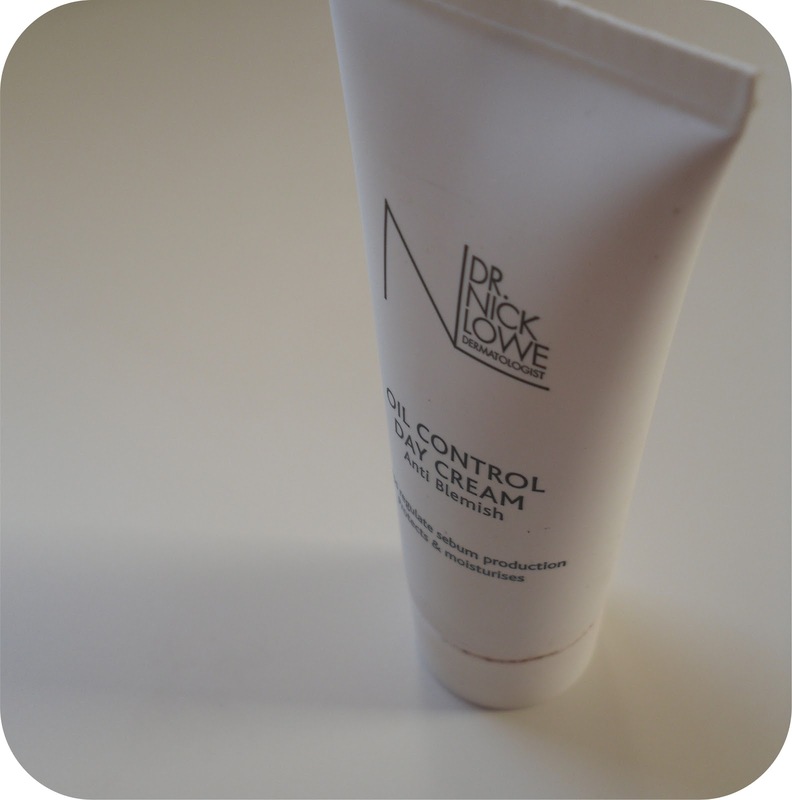 Have you tried this cream before? Would you fork out the money or would this be out of your price range? I was really glad to get the chance to try out a small tube before purchasing the full 50ml tub. This week has proven to be so stressful so far. On tuesday I ventured over to Bristol for the Benefit recruitment day which was hours of interviewing, learning, makeuping and sell sell selling. I was proud to get through the day as its no secret I have zero confidence when it comes to approaching people and trying to force makeovers on the unsuspecting public was definitely out of my comfort zone. I didn't get offered a job but I was so proud of myself for not running a mile in the opposite direction and hiding amid the slippers or anything else equally as useless :) In all seriousness though, I do need to find a job with more hours than I'm doing now so if anyone knows of any going near Bath/Bristol then do let me know! This evening is date night. Well, loosely anyway. Daniel and I are going to brave the rain and enjoy a meal at Yo Sushi, making the most of Blue Thursday where every dish on the belt is £2.40 each. Needless to say, this will involve much over excitement and a lot more self restraint than either of us possess so there is likely to be a sushi induced food coma going on later. 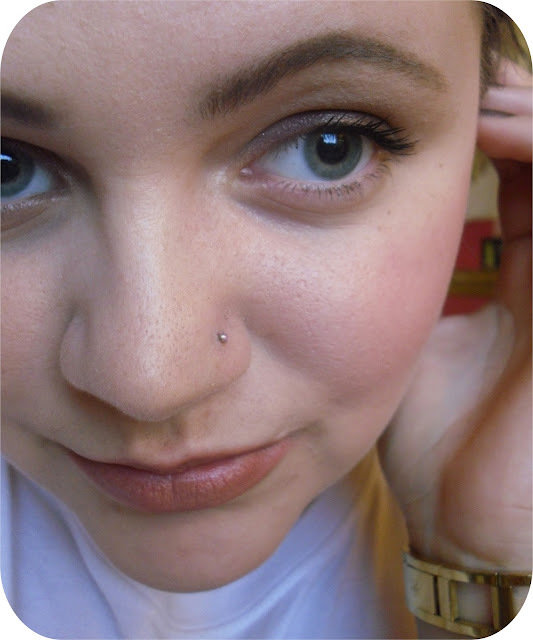 As its kind of date night, I thought I should make a bit of effort so here is my makeup for the evening. I went for a pretty natural look, trying out some of my new bits of makeup and just adding a little colour to my eyelids. 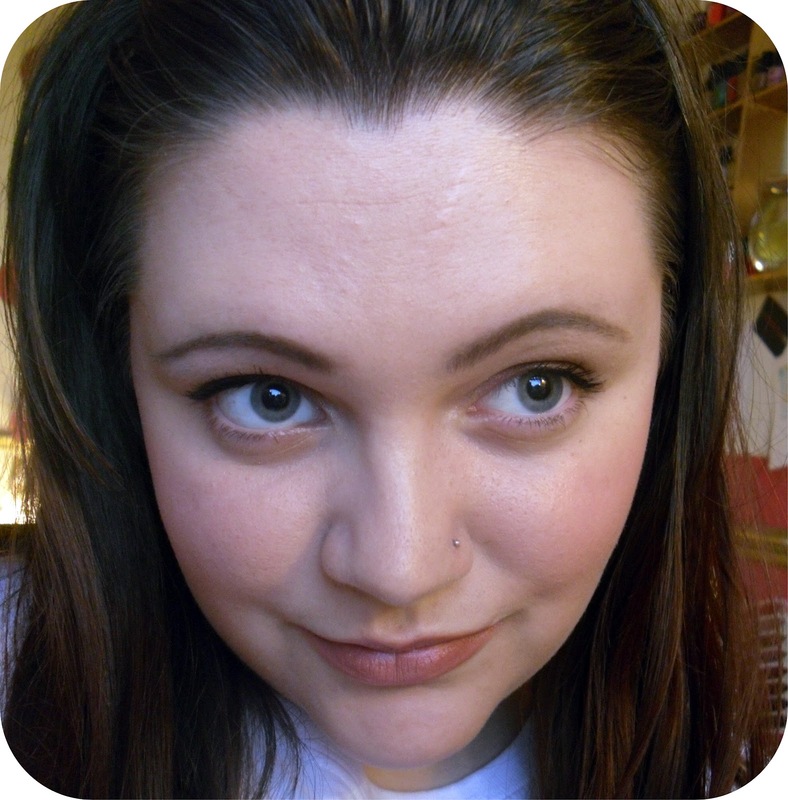 At the moment I am totally obsessed with clear, glowing skin so I spent most time fussing over my cheeks and hiding MONSTER pores around my nose. I got sent a new Avon eye quad in a swap that I tested out on my eyes, its hard to see in the photos but I've blended purple into brown along the eyelid and then gently flicked it out at the corner. I hardly ever use eyeliner these days, instead I use a small concealer brush to sweep coloured eyeshadow along the lid as it gives a softer colour but where the brush is fairly dense it still gives a good pay off. Phew, big list. Amazing how much you use to create such a soft look eh! What do you think of todays look? What style have you been favouring lately?